Can’t connect to wireless net with my new wireless IP camera. The camera works great when it is plugged into the modem via an Ethernet cable. The IP cam can’t connect to WiFi, and it keeps dropping the connection to the network. 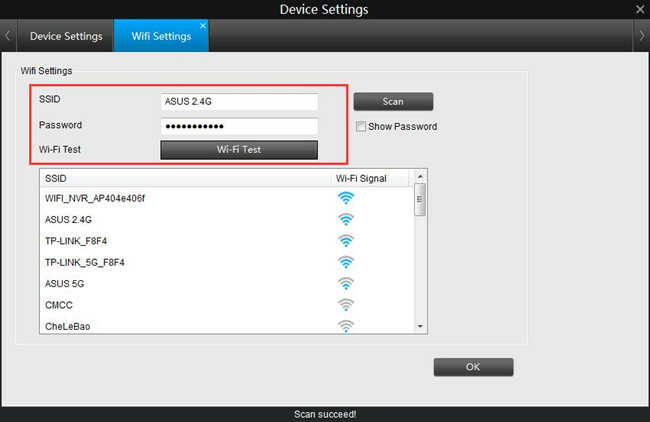 IP camera WiFi not working or IP camera not connecting to your router WiFi is a common issue. What most of you would care most about is the network connection offline when using a wireless IP camera or a wireless IP camera system. Why the IP camera cannot connect wirelessly, why Foscam/Tenvis/Easyn/TP-Link IP camera wireless is not working, why your IP camera is in offline mode now and then, and why your WiFi or PoE P2P camera failed to remotely connect to your phone? In this post, we will detail the main causes and guide you how to fix security camera network not connecting issue in minutes. And for any question, please don’t hesitate to leave it in your comment. I will get the right answer to you ASAP. If you have no WiFi network or no router at all in your place, you can try the solutions in this post: Solutions for Security Cameras Without Internet Access. Check the several reasons why your security cameras working over network (IP cameras) are not working on WiFi. #1. 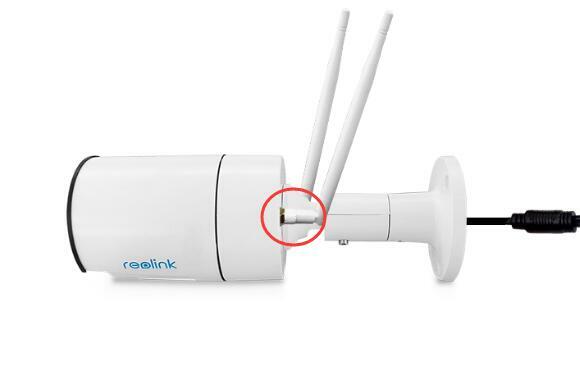 The antennas of the WiFi IP camera are not fixed well – the antennas are loose. #2. Your wireless IP camera does not have power supply. #3. You enter the wrong login password. #4. The SSID is not the same as the one of your router. #5. The WiFi reach is too bad – the IP camera is too far from the router. #6. The wireless IP camera gets a wrong IP address. #7. The firmware or the software is out-of-date. #8. You never configure the wireless settings of your newly bought security camera. #9. Your router does not support your security camera’s WiFi channel. Below are the ones that cause your P2P IP camera not connecting to your phone remotely, or your seeing “OFFLINE” status when you try to connect it. #1. Neither the security IP camera or your phone connects to the network. #2. The “UID” option on your P2P IP camera hasn’t been enabled yet. #3. You’ve turned on your router’s firewall and it blocks the connections. #4. The firmware or the software is out-of-date. We have a post covering all the things you need to know about the security camera linked to a phone, including how to make it work, features to consider, specialists’ recommendations, and hot Q&As. If you have a wireless IP camera or a wireless IP camera system, and the IP camera WiFi is not connecting or the IP camera keeps going offline no matter if it’s outdoor or indoor, you can try the top 8 workable solutions to fix the issue. Check if the antennas are fixed well or not at the first place when you find the IP camera not working. Normally, when you get the product package, the antennas are not connected to the camera. You need to manually install the antennas to the wireless IP camera. Make sure you’ve tightened the antennas to the camera. Check if the power supply of the wireless IP camera is working properly. Make sure the power adapter is plugged into a working socket. If you get a battery powered wireless IP camera, check if the battery is still at work. Change or charge up the battery. Try Reolink Argus 2, if you prefer a wire free WiFi security camera with good connections. It’s rechargeable battery powered and also can be solar-powered. No frequent battery changes and no worries about power supply. For many times the IP camera won’t connect to WiFi or failed to log in only because of the password. Make sure the WiFi login password is correct. Sometimes you get many passwords and you may mix them up. Check the password list and ensure the password you enter is the right one of the WiFi. Normally, you need to set the SSID when the first time you set up your newly bought wireless IP camera. Please set it the same as the SSID of your router. To work it out, you need the IP camera software on computer or on your mobile phone. Here we take Reolink IP camera WiFi setup as the example. For more details, please visit How to Activate Wireless Settings of WiFi IP Cameras. 1. Connect the wireless IP camera to the router via an Ethernet cable. 2. Run the free Reolink Client software on computer. 3. Add the camera to the Client software. 4. Go to the WiFi settings and set up the SSID and password. And another thing that would cause “IP camera keeps going offline”, “P2P failed to connect”, or “can’t setup offline camera” is your router firewall. Some routers would block security camera connections if the firewall is on. 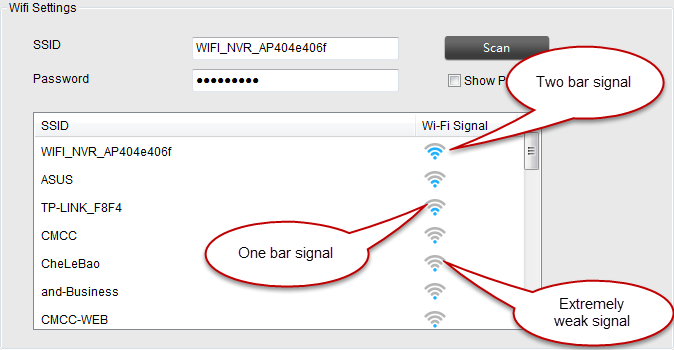 If there is a bad reach, the IP camera can’t find your WiFi signal, and it cannot connect to the WiFi. The IP camera should not be too far from the router. Check the distance between the IP camera and the router. The manufacturer or the IP camera company website could have that information. You can also check the WiFi signal yourself. Login the security camera software and head to the WiFi Settings. If the WiFi signal is less than one bar, it means your IP camera is too far away from the router or there might be too many barriers (such as walls) between the two. Just get the camera closer to the router. Please not that all security IP WiFi cameras need a stronger WiFi signal than laptops and cellphones. Alternatively, you can buy a WiFi booster or extender for the router to extend the WiFi range, so that the IP camera can have a good reach to the stronger WiFi signal even it is put outdoors. At some cases, when you connect via LAN cable you may get IP address (i.e., 192.168.0.99), and the wireless connection may be picking up a different IP address (i.e., 192.168.0.55). You won’t see it if you set the camera for DHCP. Or you may suffer IP address conflicts. Check if the IP address of you camera has issues by using commands. You will get the detailed-how in the fifth solution of the Security Camera Not Working post. Check the manufacturer or the IP camera company website to see if there is new firmware released. If yes, update to the latest firmware version for your wireless IP camera. The new firmware could fix the IP camera WiFi not working issue. Make sure you’ve downloaded the correct version for the camera. And sometimes you can’t find your IP camera on network or fail to connect to your phone far from home. In this case, check if the surveillance software or app is the latest version. If you’ve tried all the solutions but still failed, there is probably because of the hardware issues. Contact the support team of the IP camera company and explain the issue to them. Ask for a replacement. Some companies support a refund or exchange within 30 days from the purchasing date. Editor’s Note: The “Golden Rule” in IT troubleshooting is to reboot the device. You can try to reboot the IP camera to see if the WiFi not working issue is solved. The biggest disadvantage of wireless security IP cameras is the increased risk of signal loss or connection failure. Still, you can try the solutions above to solve the wireless issues. 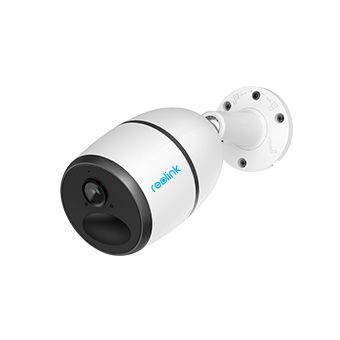 And if you prefer an IP camera working without WiFi, try Reolink Go. This entry was posted in Pro Tips & Fixes and tagged securitiy camera problems, wifi not working. Hi Keith, thank you for reaching out. Have you employed the methods recommended in the post to troubleshoot the problem? If you still cannot get it working after trying all the solutions, I suggest you contact the support team of your camera company and they should help solve your problems. Hi Joe, do you mean that you want to view the camera on your phone app? If so, you may refer to this post to set it up: /how-to-set-up-ip-camera-remote-viewing/. And for any further assistance, you can contact the support team of the camera seller for expert advice. Hi Trishe, you may turn off the WiFi connection and connect to camera using your mobile cellular data to see if it works. Also, have you upgraded to the latest firmware version and mobile app? If you still can’t solve the problem after trying out these methods, the best solution is to contact the support team of your camera seller and they should help you troubleshoot the issues. Hi I use a security camera to keep an eye on my epileptic daughter whilst she naps but its suddenly stopped working, couldn’t connect to the camera with my phone app and now after trying to reset it, it says it cannot connect to the wifi. Router is literally 2 ft across the hall and tried restarting and manually inputting the details but nothing yet. Any ideas here would be muchly appreciated. Hi Kirsty, you can check the SSID in WiFi settings as mentioned in the post and make sure you have entered the right password. If these solutions still don’t work, you may contact the support team of the camera seller and explain your problem in great details. The professional technical staff should get back to you soon and help you fix the problem. For some weeks now it has become increasingly difficult to connect from their mobile phones to their cameras. He succeeds once in a 100 time. Obviously i tryed from 4g+ fast and many wifi lan different (external) from those to which the cameras are connected. The problem occurs with 2 different types of camera and also by NVR. In practice it seems that p2p does not work. Hi Davide, please make sure the WiFi login password is correct and check if the cameras have right IP addresses. And you can also try upgrading to the latest firmware version for your cameras to see if it works. Plz feel free to let us know if you need any further assistance. I have 2 Sricam IP outdoor dome cameras in different properties. Both said network error on the same day at the same time and I could not connect. Finally figured out that something hardware or software may have been updated and I plugged in the RJ45 cable (Needed a bloody long cable) from my router to the network port on the IP Camera and added my cameras again to the the app as if setting up the cameras from new out of the box. They are both now working fine via wifi. Hope this helps. I have a sricam I been using it perfectly .. but after 8 months it just stop .. I cannot connect to it anymore “device offline” thats what it said ..
Hi Jamie, please check the Internet connection and power source of your cameras to make sure everything is right. Also, you may try upgrading the cameras to the latest firmware version. Hope all of these would help. Hi Alan, according to the device instructions, there is a good chance that something goes wrong with your network connection or your device has low battery power. To upgrade your camera to the latest firmware version, you may check the IP camera company website or consult the support team of the camera seller directly. Hope this helps. hi thanks for reply i restored camera and now working perfect thanks for help ? Hi Daniel, please check the signal strength of the connected WiFi. If the Wi-Fi signal is weak, the camera may not be able to connect the router for video streaming. You may relocate the camera and move it closer to the router. Hope it helps. Hi there, not sure what security camera brand you are using. But for Reolink security IP cameras, you can find the password under the “Device Settings” >>”WiFi Settings” from the Reolink Client. Hope this helps. I bought the mini O security camera saturday and I have talked to both the company and our cable support. I still can’t connect to the WiFi. I go through the steps and when I try to send the sound waves it comes back to check the WiFi password. Now I have called the cable company and I am using the correct password. The company says I have to add a port and the cable company says I don’t and that all ports are open. Can you give me any other things that I can try?? I took the camera to my daughters house and the camera connected to her WiFi the first time. She has dish network. We have Spectrum cable. Hope you can help me get this camera up and running. Our house was broken into 2 weeks ago and I am scared they will be back. I have called the product support every day since Saturday and I get no where. Hi Sharon, please follow the top 8 tips I recommend in this post to see if they work. And FYI, we provide 1-to-1 technical support for our customers worldwide. 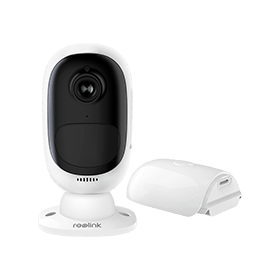 So next time you intend to replace your existing security cameras or add new ones, you may put Reolink security cameras in your wish list as well. Plz let me know if you have any more questions. Hello, with my new reolink 410ws I can’t see my home wireless (2,4G). I can see a lot of different wireless (neighborhood) but not my home wi-fi. I tryed to force manually the ssid but nothing to do, I can’t find my wireless. As double check I tryed with the hotspot on my mobile phone and in this case was OK.
Hi Fabio, you may reboot your security camera and the router to see if it works. In case you still can’t see your home wireless after trying this method, please contact our support team at support@reolink.com and they would help you troubleshoot the issues. I have an IP wireless camera & it was working fine until I did an update on it! Now when I try to view the video it says ‘video play failed’. I have uninstalled & reinstalled the app on my phone, I have reset the camera, it’s all connecting to the Wi-Fi with no problem as the LED lights indicate that. Also I can move the camera via my phone & it can take photos, I can’t see what I’m looking at when I take the photo but it’s perfectly clear photo which I can see when it asks if I want to save it. I just can’t see video footage or anything on my phone from the camera, it’s just a black screen. Any help is much appreciated. Hi Claire, please double check all the power connections, power splitters, cable connectors, etc. to exclude connection issues. For more troubleshooting tips, you may read this expert post about the possible reasons and fixes of security camera video loss, /video-loss-on-security-camera/. Hope this would help. Did you ever figure out the issue because I’m having the same problem. Has anyone resolved the issue, I’m having the same problem. I have a little USB wall plug IP cam and thought it was broke because of this problem. All I had to do was update the program on google play, hope this helps. EDIT: So sorry, didn’t read the top post. I would try uninstalling and then reinstalling the software. Hi, Tedra, the common causes for security cameras going offline are the network issues and loss of power. Please ensure that all of your wires are properly plugged in and your camera is power on. Hope this helps. Argus 2 cam recorded vid at 2:42pm then when the dog began barking aroung 5pm, this cam, of 4, wouldn’t connect. the other 3 did without issue. this one did not. i brought it in and tried to reset, didn’t work. like the thing is dead. non responsive. not even lighting up now. the light at the plug in to battery is orange not green. and it was charging overnight 3 days ago. it was wet when i removed the silicone, but the battery and interior cam was not. please trouble shoot with me. at $129, this thing needs to last longer than 6 weeks. Hi, there, to fix your problem in the most efficient manner, please contact our support team at support.reolink.com. They would get back to you soon and offer 1-to-1 technical assistance. Hope the issue can be resolved in no time. Hi, Sanjoy, if your security camera has a power indicator light, you should make sure that is on. If it isn’t or if it doesn’t have one, you may take a secondary power supply/cable and attach it to your security camera to see if it works. I just installed the reolink pro wireless camera. It was working fine for 2 weeks live (except no email or text motion alerts). I set up cloud and it saved 4 videos thru sun night. I tried logging on monday and get offline status. The camera is at my. ation house an hour away. Can i figure out or fix problem from here? Hi, Jayne, you need to enable the email and push notification alerts to obtain real-time motion alarms, https://support.reolink.com/hc/en-us/articles/360004189214-Push-Notifications. And if you still get offline status, please contact our support team at https://support.reolink.com/hc/en-us for troubleshooting tips. Hope it would help resolve your problem. Hi, Bilal, please make sure you have entered the right password on your laptop. If this doesn’t work, try doing a factory default reset and star over. My Toguard camera was working fine for the last year but suddenly I noticed that it dropped off the network and went offline. When I looked carefully into it , after power is switched on, the night vision ‘res’ eyes start blinking. The camera just won’t connect to the internet while the lights re blinking, whether thru WiFi or cable. I switched it on and off , did reboot a few times and then the night light became stable and fixed. When that happened the camera automatically then connected to the internet easily. After I placed it back at the original spots, it worked all right for 24 hours and then back to the same problem. Blinking night vision lights and no connection. How do I solve this ? Hi, Neil, please confirm that there is strong enough WiFi signal in the position where you place the camera. You can also update the latest firmware version of your camera if it is available. I have 3 outdoor camaras. Aftter power fail 2 cameras keep working with wi fi, the 3rd camera switches to cable internet connection. Ihave to set it again to wifi. Why??? Hi, David, this happens when cable internet connection is prior to WiFi connection. Please check the settings of your third camera on your phone or PC and put WiFi connection as the priority network connection. Hope this would help. Hi, Cass, please check that you have tightened the WiFi antennas and given appropriate power supply for your camera. You can also confirm that whether your router puts up firewall or not. Hope this would help. Hi, I have 2 SANNCE cameras that i can access via my phone when i’m at home. as soon as i leave home, the connection keeps on timing out. I’ve uninstalled the app, deleted and reinstalled the devices on the app, restarted the cameras. They used to work fine. I turned off data on my phone to only use wifi. then I turned off wifi and only use cellular data. Still not luck. As soon as I get home, they work! Hi, Pauline, ensure that you have enabled the UID of your security cameras and update your security camera and the software to the latest versions. You can also read this post /how-to-set-up-ip-camera-remote-viewing/ for more detailed solutions. Hope this would help! Hi, Keith, plz make sure the SIM card you bought is NOT a contract SIM card. And you may try restarting the camera to see if it works. If you need any more technical assistance, please contact the support team here https://support.reolink.com/hc/en-us for troubleshooting tips. Hi, Christina, does your camera seller offer free and customized app or Client? If yes, it would be pretty easy for you to connect the camera to network at work. You may refer to this post for the step-by-step instructions, /how-to-set-up-ip-camera-remote-viewing/. I have a camera for two years and it worked without a problem. Now, after resetting, I can not connect even via LAN cable – the camera is not found. REOLINK support is non existent. they take 3 days to contact you then when they do, they begin by asking troubleshooting tips like is your camera on. !!!!! i have had several issues since getting these units and while most issues have resolved in time, the delay in customer support and issue resolution would be a deal breaker if i were to order again. when 2 batteries failed prematurely, it took 2 MONTHS of customer support emails and finally 3 weeks shipping once the return was authorized per battery to arrive. sure, i got 2 new batteries, but the batteries should not have failed so soon. they never were below 40% charge either, i believe water is somehow penetrating them. bottom line, these cams were used less time than it took to get the issues resolved. they need USA based support network if this company is to last. my newest issue is that the 2 oldest cams are failing to connect to the internet. of 6 total cameras, the 4 that are connecting are outdoors, the two not connecting were pulled inside. each has connected fine until this weekend. each is now charging just to be certain power is not the issue (despite battery reading 100% charged). they worked and now they do not. the cams in question have been installed since June 8. not a long lifespan for a $129 camera. hoping customer service will actually help this go round. don’t have a clue as to why they just quit, but it’s very frustrating. i am now out $260 in cams and surveillance if i can’t get them back online. i already have an open ticket with them about the update to Apple ios 12. the update is preventing me from seeing which camera was triggered on the alerts. i almost want to turn off notifications since i cannot swipe and see which cam was alerted, now i have to open the app, and select each of the cameras to see videos, unless i can get to it quickly enough to scan all 6 at once, which is a bonus feature. it’s a holiday so custy service was closed this weekend. grrr. Hi, Freddie, please try out other WiFi channels or another WiFi network to see it works. If you need any more help to troubleshoot the issues, you may contact our support team here https://support.reolink.com/hc/en-us/ and they’ll get back to you soon. Hope this would help. it. This behavior is totally unacceptable. Please how can I resolve this? Thank you. Hi, Shawn, please connect your camera to another WiFi network and see whether it works or not. You may also contact our support team here https://support.reolink.com/hc/en-us/ for more technical help. Hope this would help. Hi, Gabriele, please check if your husband’s phone has strong and stable network signals. Also update the APP to the latest versions. Hope this helps. Hello, I recently bought a Reolink Argus 2 wirefree camera (this is my 3rd Reolink camera; I also have the 423s and 511s PoE cameras on the same network which are working fine). I am unable to get the Reolink app to setup the Argus 2 camera and join my 2.4GHz WiFi network. I have tried with no security / different channels but still no luck. I have deleted and reinstalled the App and tried as well. Any help is much appreciated! Thanks in advance! I have the same problem. It seems useless and I wish I’d bought USA, UK, German or Japanese…..never have such issues with products from those origins. Hi, Tony, please follow this complete guide https://support.reolink.com/hc/en-us/articles/360007948173-Initial-Setup-for-Battery-powered-Cameras-via-Reolink-App to set up the camera. If you have any further questions, please feel free to contact our support team https://support.reolink.com/hc/en-us/ for assistance. Hi, Dinesh, to set up Reolink Argus® 2 in the Reolink App, you need to connect the camera to a stable WiFi network. Check if the WiFi signal is stable or not and you may follow the guide here https://support.reolink.com/hc/en-us/articles/360007948173-Initial-Setup-for-Battery-powered-Cameras-via-Reolink-App to set up Argus 2 successfully. Please don’t hesitate to contact our support team https://support.reolink.com/hc/en-us/ if you have any further questions. Many Thanks for your prompt reply Yolanda. I got in touch with Reolink support who were able to provide the necessary instructions to proceed setting up the Argus 2 on the network. It is all setup and functioning now. Thanks again! Hi, I have 8 cameras, 6 are working well, but 2 have problems. 1 I can see it’s wifi signal,but every time I tried to connect it to my phone, it sometimes can connect but no wifi logos on my phone and then logged out after a few seconds. The other one i can’t even see it’s wifi signal. I’ve tried to reset it by pressing the reset button, 5 seconds, 15 seconds and even 60 seconds. Still no signs of resetting. Hi, Nicholas, you may change the WiFi channel to test if the two cameras work or not. Please let me know if you need any further help. I set up my Reolink WiFi camera with no issues. It connected to my router and it was showing a clear, stable image with no dropped frames. Some time later it lost the connection and no longer shows up in the client list on my router. The only solution I found was to move the router closer to the camera at which point it reconnected. Then I put the router back to where it was before and everything was fine. A nice clear, stable picture. It worked just fine for several hours but after some time it dropped the connection again and it was impossible to get it back without moving the router closer to the camera like before. The signal strength is clearly strong enough because I’ve had it streaming 5MP without any issues. So why does the connection drop out and become impossible to reconnect? Hi, Ben, please change the WiFi channel to check if the WiFi camera works or not. You may also contact our support team https://support.reolink.com/hc/en-us/ for any further help. Hi, there, you may upgrade the App to the latest version and check if this problem gets solved. Hope this helps. When I plug mine in it blinks red why is that? Hi, Nakita, please make sure that your IP camera receives sufficient power supply and stable WiFi signal as well. Hope this helps. I have a Frontier router. I can’t discover new wemo plugs or arlo camera’s over wifi. Any suggestions? Hi, there, you may check the router firewall settings or change another WiFi channel to see if it works. Hi, I’ve been trying to set up a Victure Wireless Security Camera PC320. I tried using EyeCloud as recommended in the instructions booklet then tried p2pip.com ?? but had the same problem with both ie “id invalid” but the ID password appeared automatically when scanning the camera code with my phone. Husband tried with his phone and same thing. Any suggestions please before I throw the thing out of the window ! Hi Sue, you may reset the camera first and type in the UID and password manually. Another solution is to add the camera to the APP automatically. By clicking “Search in LAN”, you can find the camera which is under the same router with your phone. Hope this helps. Hi, Cathy, please ensure your security camera is powered on and the network signal is stable. Also, you may restart the camera to see if works. Hi, Jim, have you tried the methods mentioned in the post above? If the security camera still doesn’t work, please contact our support team here https://support.reolink.com/hc/en-us/ and they’ll get back to you soon. Hi there, you may change the WiFi channel and test if your IP camera works properly with the stable WiFi signal. Hope this helps. Hi Nancy, you may reset the security camera and change the WiFi channel as well. Hope this helps. Hi, my IP Camera cant connect to the wifi router, after im buyed a new one router. The SSID and the password is the same im using on my PC, and there i have a connection. Regards. Hi Scott, are you using battery-powered security cameras or PoE/WiFi IP cameras? For battery-powered security cameras, continuous live viewing will consume much power and thus, the live feed will be closed when it reaches the maximum time, which is around 20 minutes. In terms of PoE/WiFi IP cameras, check if you have enabled power saving settings on your phone that may close the live feed after a couple of minutes. Hope this would help. Hello, there, you may check if you have enabled the non-hotspot mode in the settings. Also, updating the app & firmware may help solve the problem as well. Hi, i try to connect through LAN internet but nothing happened. Hi, there, it is best for you to contact the support team of the security camera brand for further assistance. It keeps telling me network configuration for first time use and then Jr won’t scan the qr code on my phone to move forward and if i just hit next it goes to 85 percent and says failed to connect..
Hello, Brain, you have to finish the network configuration when you set up the security camera for the first time. Or else, the security camera won’t be able to transmit data and you can’t view your camera feed on the app. You may check if the WiFi channel that your phone is using meets the standard of your security camera. If not, change the WiFi channel of your router and configure the network connection again. Hope this helps. I have a Foscam F18918W working of of an ethernet cable. I can not pull the ethernet plug and use camera on wifi. The camera freezes when I pull the ethernet cord and is unresponsive on app as well as foscam site. Anything I should be looking for ? Hello, Sandy, you may check if you have enabled WiFi connection in the wireless connection settings. If this doesn’t help, it is best to contact the support team of your security camera brand and ask them for further assistance.